Today seemed like a good day to go and visit the Hua Hin Floating Markets; there are two markets close by to the town that are worth a visit. We managed to catch the TV news early in the morning to see the result of a devastating storm in the Philippines. It was most likely part of that storm cell that was giving us the very strong winds and choppy seas. In any case the storm was due to hit the South of Thailand in the next few days. 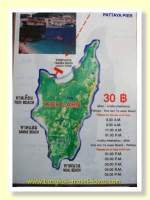 Lucky we didn’t go to Krabi this year, I thought. 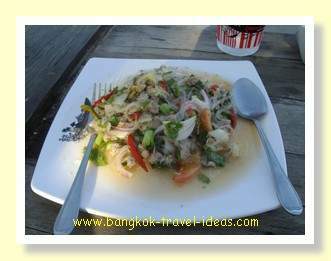 If you decide to eat in the Hilton Hotel then breakfast will set you back 700 Baht each, or you can do what a lot of people do and just go outside to eat at the street market or local restaurant. For a late breakfast we walked down to the little road that goes to the beach and ate at one of the roadside stalls. Breakfast consisted of Pad Kapow Gai and for two people with a bottle of water cost just 90 Baht. As we ate I could see a couple of rats peeping out from behind the fence and every so often they would scurry across the open space and then back again. I thought about the time when the sight of a rat would have bothered me. Outside in the open it is just a part of nature and so long as they are not in my hotel room I can deal with them being around. Pad Kapow Gai is a sort of spicy minced chicken with Basil leaves, together with boiled rice and with a fried egg on top. It is not my most favourite Thai dish as sometimes I find the chillies can be a little bitter and don't agree with me. Today I had no such problem. As we walked back to the hotel we passed the lady selling the mango and sticky rice, but today, even though it was still early, she had sold out of sticky rice and was cooking another batch. I made a mental note to come back later. The weather was warm but with low humidity and the wind was still quite strong. Upon our arrival at Hua Hin the hotel tourist desk had helped us out with a list of places to go visit and provided a map of Hua Hin and the surrounding area. 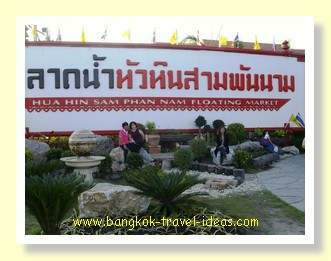 Next on the list for us, were the two Hua Hin Floating Markets, one called Hua Hin Floating Market and the other, Sam Phan Nam floating market. As it was too early in the day to go and visit either market we went to sit on the sun lounge chairs down by the water until 3:00pm and just relax until it was a bit cooler. 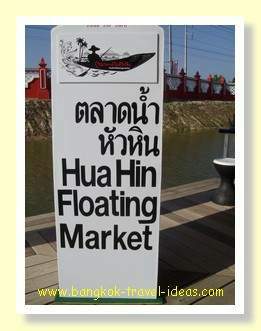 The floating markets are located South of Hua Hin and towards Khao Takieb. By following the main road and then taking a right turn after the flyover and following the signposts we were able to find the Hua Hin Floating markets quite easily. There was plenty of parking for the car and after finding a spot we wandered around the small stalls. We sat for a while and watched a Thai dancing show and then once that finished we wandered around the shops. We bought a couple of matching t-shirts and then had a snack of Somtam and sticky rice, before moving on to the second floating market which was located about two kilometres away. 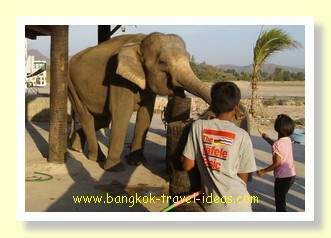 Hua Hin Sam Phan Nam floating market had the added attractions of three large elephants and a baby elephant that you could feed bananas to and also have your photo taken. Hua Hin Sam Phan Nam floating market seemed a lot larger and more established than the first market we visited. Again, they had some nice gifts in the shops and it was quite a pleasant walk around the place. Both of the Hua Hin floating markets have been established for the tourists visiting the Prachuap Khiri Khan region and are nothing like the traditional Thai floating market that you will find at Amphawa. 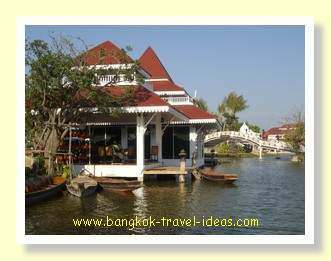 The traditional Thai floating market is located on a river or khlong with the boats coming by selling food and fruits. This was how Thai people got their daily food in times gone by. 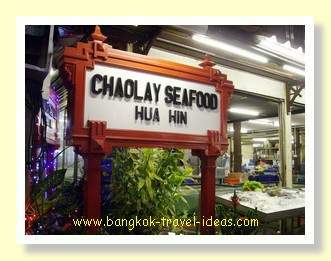 However there are many parts of Bangkok that still served in this way. 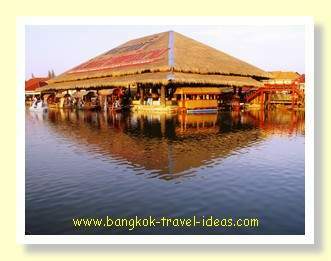 In the case of the Hua Hin floating market and Sam Phan Nam floating markets an artificial lake with boardwalks and timber houses has been constructed out in the countryside. 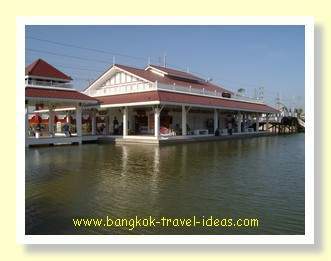 It is meant to be a reconstruction of a traditional Thai floating market for the sole purpose of entertaining tourists. 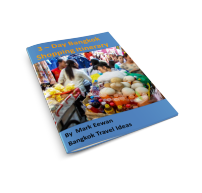 The majority of the tourists visiting these two markets appeared to be Thais. As the sun went down it was time to go back to the hotel to have a rest. As we left the floating market and were about to get into the car I could see the mahout taking the elephant back to its pen for the night. In true storybook style the little baby elephant was following on behind its mother. It wasn't holding its mother's tail, but it might as well have been. Unfortunately it was too far away to get a good photograph but I did get a few minutes of video to capture the moment. It made such a good end to the day to see the two elephants walking back home with the sun setting in the background and the palm trees all around. Back at the hotel we relaxed for a while. In the evening we had a couple of Mango Daquiris' from the hotel bar and then walked up the road to the Chao Lay Seafood Restaurant. This restaurant is very popular and they have a good set up, as the restaurant juts well out over the water on its own pier. We ordered two crabs, a big spicy fish some chicken and rice and a beer. Total cost was 950 Baht. After dining we wandered down the back streets and played a couple of games of pool and then moved on to the Hua Hin Brewery to watch some live music. 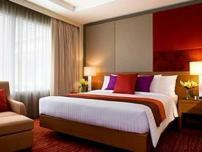 There is an entrance fee if you are not staying at the Hilton Hotel. 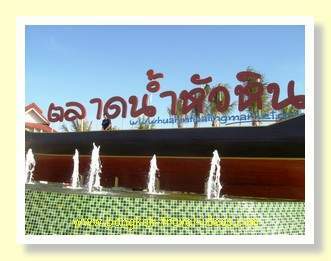 The largest statue of Luang Phor Thuad is located at the back of Hua Hin just 40 minutes from town. Sneak out into the countryside; look for the bullocks ploughing the fields alongside the river. Need to do some grocery or gift shopping? 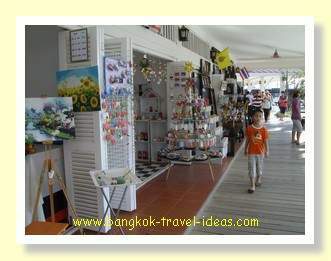 Then head on over to Hua Hin Market Village where they have all your needs. In the evening check out the range of beer bars just at the back of the Hilton Hotel for a quick game of pool and some casual eating. Everything comes to an end and ultimately it means leaving the Hua Hin Floating Markets behind and returning to Bangkok. 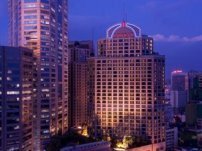 Catch up with an old friend and go for a seafood dinner in Bangkok near to Seacon Square and tell him about the Hua Hin Floating Markets and the stay at the Hilton Hua Hin.